Butterfly valve, also called as flap valve is a valve that has simple structure, used for media having low pressure. The closure member of butterfly valve is a disc which can swing along with valve shaft. Operation is similar to that of a ball valve, which allows for quick shut off. A butterfly valve is from a family of valves called quarter-turn valves. In operation, the valve is fully open or closed when the disc is rotated a quarter turn. There are different kinds of butterfly valves, adapted for different pressures and different usage. Based on materials used for sealing face, butterfly valve is classified into soft sealing butterfly valve, hard sealing butterfly valve. Based on types of sealing, butterfly valve is classified into forced sealing butterfly valve, pressurized sealing butterfly valve and automatic sealing butterfly valve. 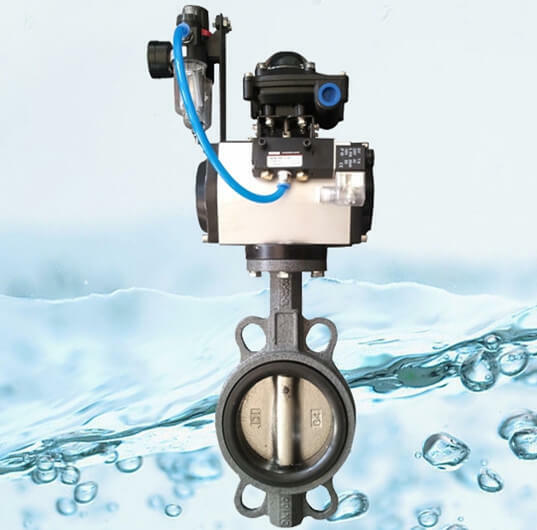 Based on working pressure, butterfly valve is classified into vacuum butterfly valve, low pressure butterfly valve, medium pressure butterfly valve, high pressure butterfly valve and ultra-high pressure butterfly valve. Based on connection, butterfly valve is classified into wafer butterfly valve, flanged butterfly valve, lug type butterfly valve and welded butterfly valve.